What about parts & service? We offer the highest quality parts at our low-low costs which gives our customers satisfaction and peace-of-mind. We work with vendors around the world to bring you the most reliable hardware and software that arrive in zero to three business days. Our service is guaranteed. If you don't like what you see we'll fix it for free. Broken iPhone 5, 6, or 7 Screen? No problem! We'll get the correct screen ordered and replaced for you in a snap. 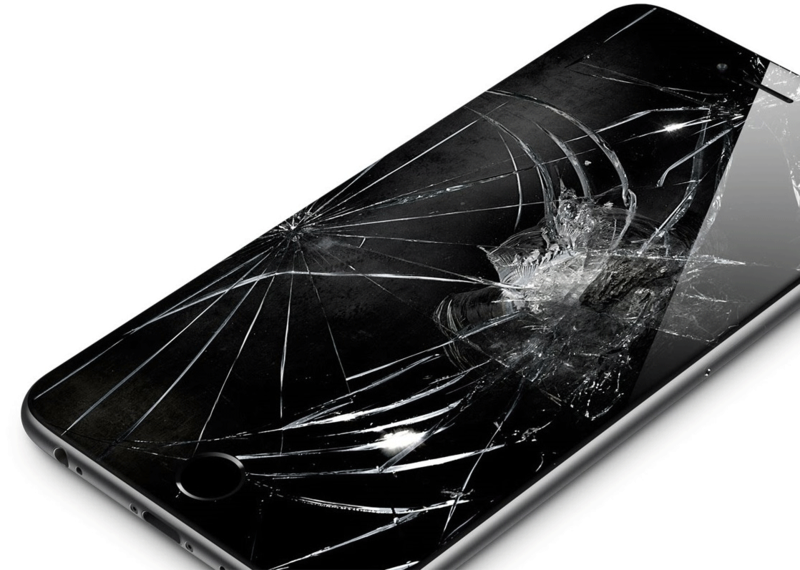 Don't pay more than you should to get your iPhone repaired. Just let us know when you are ready and in one hour you'll have it back and working better than ever. What devices can you repair? If it plugs into the wall, we'll be happy to service it at our residential $100 flat rate. We specialize in laptop repair, lcd screen replacements, tablet repair, desktop computer repair, printer repair, and mobile phone repair. Are you a small business owner trying to do it all yourself? Let us take care of your social media marketing strategy. 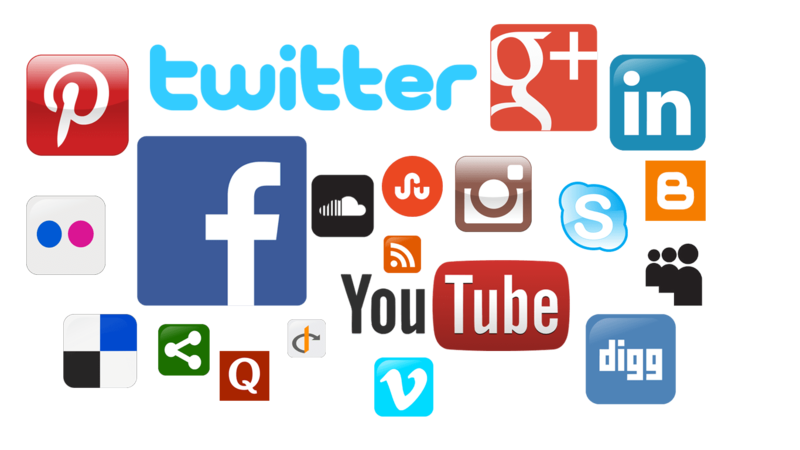 We'll build up your social networking site profiles and optimize them. We'll post daily, gather followers, increase your likes, encourage your customers to leave reviews for your business, and funnel leads to your website. Focus on what you do best while we focus on what we do best; social media management. That's easy, we charge a $100 flat rate, per device including laptops, desktops, printers, mobile devices, and more. Our high-quality, low cost, parts and software will be charged additionally with your approval. iNFLUX PC, LLC continues to earn awards for home and business technology services. We won the coveted Angie’s List Super Service Award, reflecting an exemplary year of customer service to members of the local services marketplace and consumer review site in 2016 & 2017! We also won the Yelp "People Love Us on Yelp" Award and also the Expertise.com's "Best Service in Phoenix Award". We continue to meet strict eligibility requirements, which include “A” ratings, 5 Star Reviews, and complete customer satisfaction. Looking for a custom gaming rig that will boot fast, is ultra quiet, and has the best FPS while pwning your friends online? 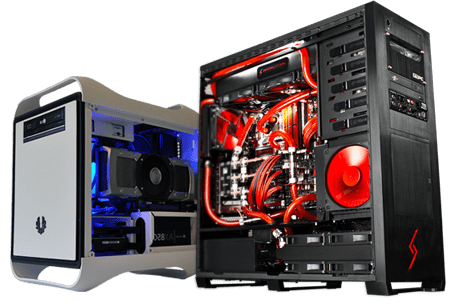 Whether you have $1,000 or $5,000+ budgeted, we'll order the best bang for your buck parts and have the PC ready to game in 3-5 days. On a tight budget? Let us evaluate your current machine, upgrade it, and set you on the best upgrade-over-time path possible. We also have solutions for video and photo editors, home automators, central media junkies, home security specialist, etc. Let us know what you are doing and we'll custom build for you! Protecting your computer is our priority. Before we return your computer we remove all viruses, spyware, and bloatware that is installed by manufacturers. We leave our maintenance tools on your system for you to use later as needed. We also increase performance, increase security, and perform other optimization enhancements. We also schedule regular software and operating system updates. No need to purchase expensive anti-virus, firewall, or antispyware software; we have reliable and free solutions just for you. Trust us to protect your system with the best solutions available for the cost of our $100 flat rate. If an emergency arises, we can use our remote software to control the situation and prevent it from getting worse. Ranked best Computer Repair Service in Phoenix! 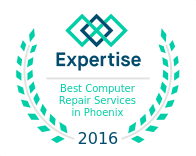 Expertise.com looked at 268 Computer Repair Services in the Phoenix Valley and ranked us at the top! Expertise analyzed and scored computer repair services on more than 25 variables across six categories based on the following: Reputation, Credibility, Experience, Availability, Professionalism, and Engagement. Think GREEN! 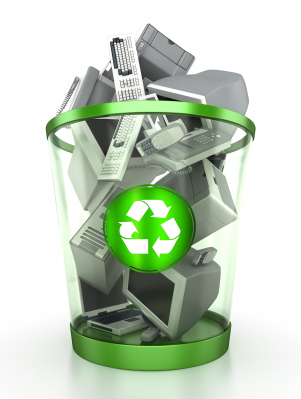 We'll take your old technology and properly repair, reuse, or recycle it. We'll take old printers, scanners, monitors, speakers, keyboards, mice, hard drives, desktops, laptops, gaming consoles, phones and any other technology that plugs into the wall. If we can repair it, we'll donate it to charity for someone to reuse. If we cannot repair, we'll strip the device of the good parts and keep them on hand to donate to someone who can use and upgrade. If we cannot repair or reuse, we'll haul them off to the recycler for you. In some cases we'll even offer cold hard cash for your device, just let us know what you want to get rid of and we'll make an offer. What all will you fix? We fix all of your identified issues as well as issues we identify. We go the extra mile to be sure you receive your device back quickly and are satisfied with the results. Every device gets a quality assurance checklist of over 20 items that we review, optimize, configure, or repair. Items on the tasks list include cleaning the internal and externals of your device, updating hardware drivers, updating BIOS and firmware, registry cleaning, optimized boot up time, drive defragmentation, removing bloatware, spyware, viruses, and much more. We fix it all with one call. iNFLUX PC repair and technology services started in October of 2008 and now is Goodyear / Avondale AZ’s Best Laptop Computer Repair company! We understand the demand and struggles our customers face regarding today’s technology challenges. Other IT companies meet the demands of the industry; however, drive high prices while lacking good customer service. Our customer service skills and our technical knowledge is our pride. Your satisfaction and affordable rates are what attracts our clients and help us become Goodyear / Avondale Best Laptop and Computer Repair company. The company strongly believes in being honest, fair, and professional with every customer and our reviews reflect that belief. Upgrade recommendations are offered zero pressure. Believing customers come first, we mold our consulting and services to meet your needs. iNFLUX PC understands the value of your time so we deliver quick and efficient services much faster than our competitors. iNFLUX actively finds and serves customers in the West Valley including; Avondale, Buckeye, Glendale, Goodyear, Litchfield Park, Phoenix, Sun City, Tolleson, Arizona. Live in another state? No problem, we have clients all over the United States and even around the world. So what sets us apart from the other Geeks? $120 Flat Service opposite to our competitors. Full transparency due to our moral code. Frequent communication and progress updates via text messaging.